Do you want to enjoy the sunshine but do not want to be subjected to excessive heat and glare? If yes, you can enjoy all the sunshine you want with retractable awnings. These awnings can be installed for doors, windows, porches and RVs to control the heat and light that shines on you and your home. 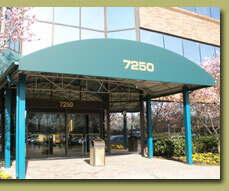 Not only is it highly functional but the canvas awnings come in a wide variety of stylish shades! You can control your beautiful awnings from both your indoor and outdoor areas! The awnings will protect you, no matter rain or shine. They will also prevent damage of your interior and exterior furniture, while providing you ample outdoor space to truly enjoy your home living space. Increase the value of your home property with these remarkable awnings.